When it comes to ridding the body of accumulated toxins and waste materials, juice cleanses are the way to go. 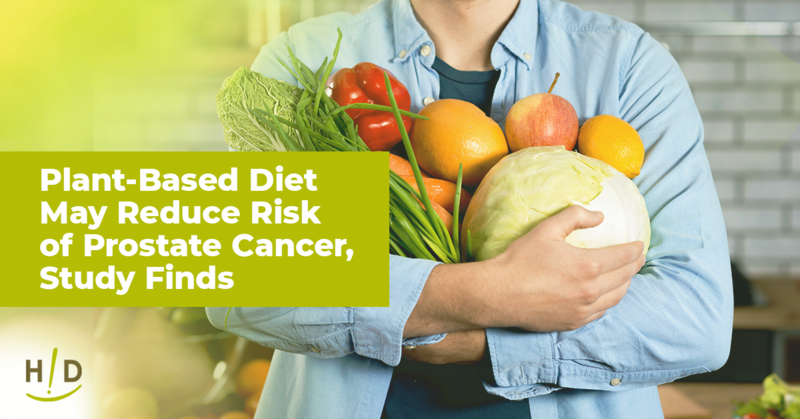 A juice cleanse should provide the body with the nutrients it needs to carry out daily tasks while flushing out weak, damaged, malfunctioning cells. The Perfect Cleanse Program does all this and so much more. The Perfect Cleanse is designed to boost autophagy during fasting (a natural means to cleanse weak, diseased, compromised cells from the body) and then cause a burst release of new stem cells when you finish the fast and begin eating again. The result is rejuvenation at a very deep level. Unlike other juice cleanse products that leave you feeling hungry and fatigued, the Hallelujah Diet Perfect Cleanse Program combines nutrient-dense juices with powerful prebiotic agents that flush out harmful toxins while fueling and energizing every cell in your body. Keep reading to see how the Perfect Cleanse Program delivers the types of results that no other juicing cleanse can. What’s Included in the Perfect Cleanse Program? BarleyMax, our next generation organic superfood, contains a wide spectrum of antioxidant materials that work to detoxify the body’s cells and protect cell processes from free radical damage. BarleyMax comes in the form of a dehydrated, powder juice drink that’s made from young barley grass and alfalfa. We use a special, proprietary process for growing, harvesting, and drying that’s designed to preserve the nutritional potency of the plants as well as protect heat-sensitive nutrient and enzyme materials. The resulting effects of this superfood leave you feeling energized like never before! The CarrotJuiceMax component of the Perfect Cleanse Program is unlike any other carrot juice powder on the market. Unlike other similar products, CarrotJuiceMax contains active or “living” enzymes, which are a prime indicator of a food’s nutritional value. Living enzymes are what enable a raw carrot to keep growing when it’s placed in a bowl of water. When eaten, this growth potential naturally fortifies the body’s cells. 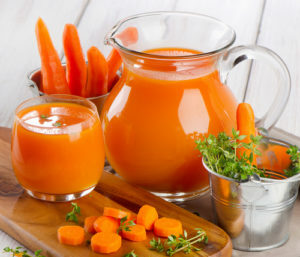 Carrot juice is also known for its ability to promote healthy, glowing skin, which is another added benefit of CarrotJuiceMax. TrioMax, another Hallelujah Diet superfood, combines the energizing effects of BarleyMax and CarrotJuiceMax with BeetMax, our proprietary greens and beet juice blend. The nutrients contained in BeetMax support and strengthen the cells that make up the body’s digestive and cardiovascular systems while also promoting healthy blood circulation. The overall effects of TrioMax give you a nutrition “tune-up” that strengthens the body’s major systems on a cellular level. Flushing toxins and waste materials out of the body is a big part of what a juice cleanse is supposed to do. FiberCleanse contains a balanced blend of flax seed base and psyllium, along with 28 cleansing herbs, all of which work together to clean out the colon and promote healthy bowel movements. 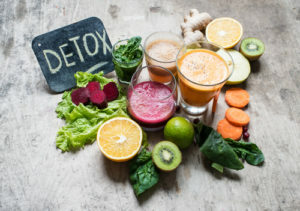 When used alongside the other components of the Perfect Cleanse, you experience a full-body detoxification all at once. The “good” bacteria in your digestive tract act as the body’s first line of defense against toxic substances. Your digestive tract also contains “bad” bacteria. The “bad” bacteria must be kept at a minimum or else the body becomes highly susceptible to sickness and disease. ModCarb feeds the “good” bacteria in your gut so that they increase in number. ModCarb consists of a fine mix of six different types of grains: quinoa, chia, buckwheat, millet, oats, and amaranth. This Perfect Cleanse component also provides an ongoing source of energy for the day. Our Advanced Superfood and B-Flax products deliver a one-two punch, promoting healthy bacteria growth in your gut while flushing toxins and waste materials out of the body. Advanced Superfood contains an organic blend of over 30 ingredients, including leafy greens, sea vegetables, and prebiotic fibers, which promote the growth of healthy gut bacteria. Likewise, B-Flax contains a host of vital nutrients, including vitamin B12, omega 3 fatty acids, and vitamin D3, among others. This powerful mix not only helps keep you regular but also leaves you feeling full, which helps keep hunger cravings in check. 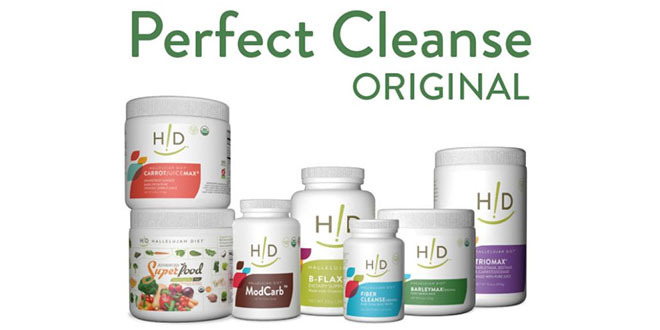 Only high-quality organic ingredients are used in each of the products that make up the Perfect Cleanse Program. Compared to other juice cleanse programs on the market, you’ll only pay around one-third of the cost for the Perfect Cleanse. While other programs offer you a set number of days for a cleanse, our program is flexible. This means, instead of doing a 15-day cleanse, you can break it up into three separate 5-day cleanses or five 3-day cleanses, depending on your schedule. No other program on the market can energize the body’s cells while providing you with a full-body detox like the Perfect Cleanse does. This is a great way to lose weight and also get healthy. I just spoke to a woman who lost 10 lbs. doing a cleanse. She was excited and happy. The drinks taste great and are easy to make.